CHARMING COTTAGE ON SILVER SANDS WATERFRONT WITH WHITE SAND BEACH! This truly adorable home is designed fro flexibility with 2BR and 1BA on the upper floor and 1BR 1BA on the lower with walk out to the covered patio. There is a fantastic walkway to the deck with beach side seating to relax and enjoy this great swimming lake. 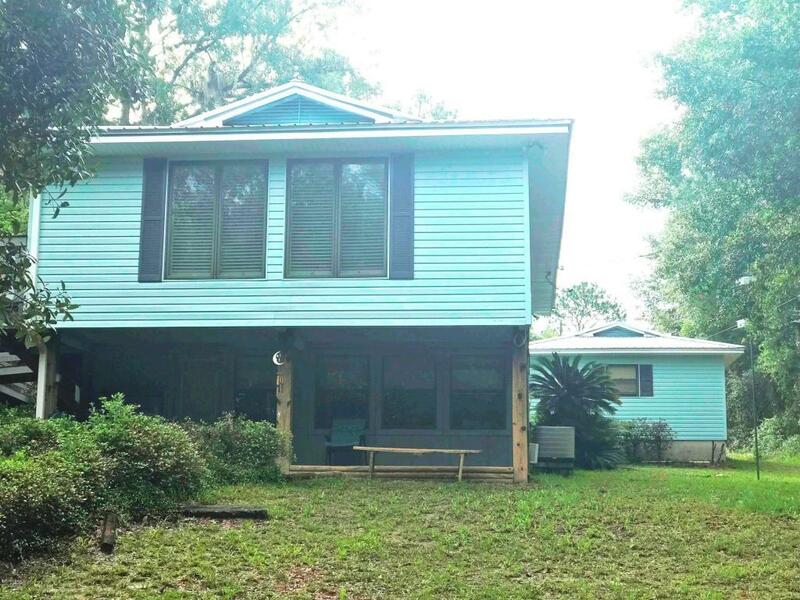 This home sits on over 1/2 acre with a 2 car carport and plenty of storage. The 2 year old metal roof adds charm to the cozy home. Open and plenty of light with French Doors to the grilling deck and spectacular views of the water! Floor plan is perfect for in-law/guest suite or a great rental for the INVESTOR. It's just beautiful, a must see.